How Much is Your Metal Worth? If you’re looking to earn a bit of extra money, scrap metal may not be the first place you’d look. However, scrap metal recycling can actually help you earn some money, whilst being better for the planet. If you’ve just done a revamp of your home or you work regularly with metals, you might just find some items that could make you a little bit of cash. Whilst not all metals are worth big money, each one has its uses. We take a look at some commonly found metals that are good for recycling and consider how valuable they might be and why. Here we’ve listed them from inexpensive to most expensive. Steel can be contained in so many different appliances and furnishings around the house. You’ll find steel in coat hangers, pipes and ladders as well as many places in the kitchen such as handrails and fridges. If you’ve got an old ladder or are re-decorating the kitchen, you might want to wait before you throw away some items. Whilst the price of steel fluctuates depending on supply and demand, steel is generally quite a cheap metal. Steel is tough and resilient, which is what makes it valuable in some cases, but it isn’t very malleable and can’t generally be moulded into the shape you would want like other metals. It also needs to be painted or protected, as it tends to rust in damp areas. Despite its toxicity, lead is still commonplace in many large batteries, particularly ones in cars. It’s quite rare to find lead in the household, unless you’ve still got some old lead pipes knocking around. However, it can be highly valued, depending on the demand in the market. Lead is, however, one of the most recycled metals due to its presence in batteries. It can also be recycled indefinitely without a reduction in quality. Scrap metal buyers will be happy to take batteries off your hands. Plus, the bigger the battery, the more money you’ll get back in your bank account. Aluminium is a lightweight metal that can be easily moulded to fit many building materials such as signs, gutters and awnings. Used to make everything from furniture, wheel rims and beverage cans, it can also be found in many electrical goods and wires. 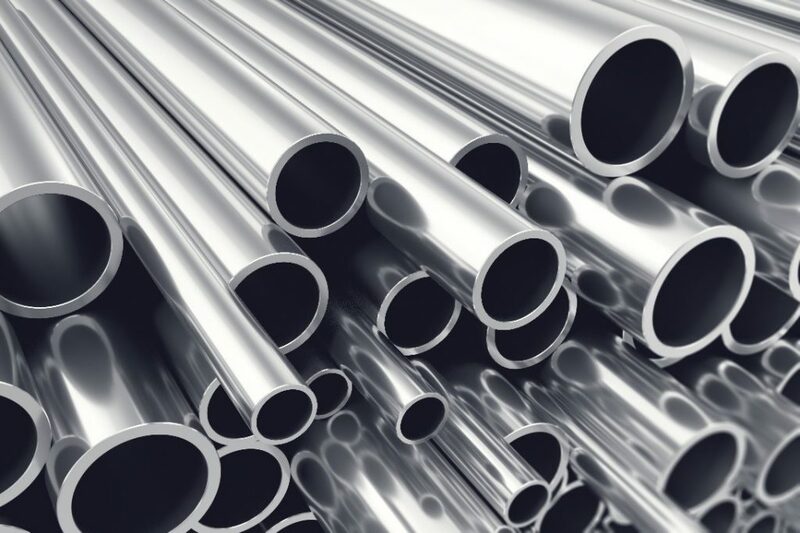 Despite its light nature, aluminium is quite strong and corrosion resistant as well as being malleable; however, it’s also quite commonly found. Although you’ll get some money for aluminium based on demand and supply, it’s not the most valuable of metals compared to copper or brass. Still, it could be worth taking it to your nearest scrap metal collection company to see if you could make some money. Titanium is commonly found these days in bicycles, golf clubs and lots of other sports equipment. This is due to the fact that it is another light but strong metal, like aluminium. It has excellent corrosion resistance in a number of environments and is also particularly useful for aircrafts and ships. It might be worth looking through your old, unused sporting gear. If you aren’t able to sell it on to someone, you might still make some money selling it as scrap metal. 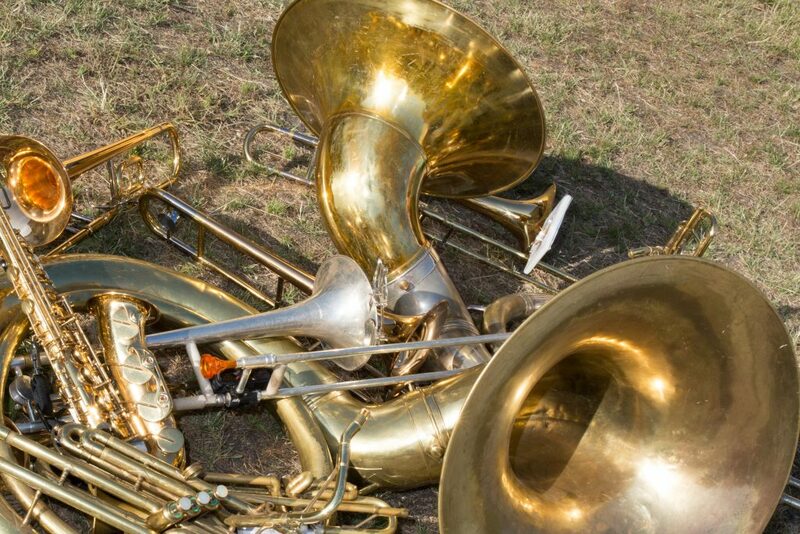 Brass isn’t just found at your local jazz club. It can also be found in plenty of door handles, bathroom taps and possibly lamps. Check your plumbing if you’re redoing a kitchen or bathroom as you may find some brass pipes, too. Brass is actually a copper alloy, which makes it stronger than plastic as well as corrosion-resistant. It is also more easily welded than the likes of steel, for example. Brass can work in higher temperatures, which is why it tends to be found in bathrooms and kitchens as piping. Due to its versatility, you could make some money with brass scraps. However, some brass metals contain lead which makes them less valuable. As a scrap metal, copper tends to get priced fairly reasonably. It can be found in wires and piping. Mixed copper tends to be cheaper than pure copper, but it’s not hard to find copper around the house. In fact, you can find copper in anything from washing machines to cameras. Copper is a valuable metal, making it more attractive for scrap metal recycling. It’s not a strong metal but is easy to form and mould, which is why it’s good for piping and plumbing applications. Copper works well as a conductor too, so you’ll find it in most kitchens. Whilst recycling scrap metal won’t make you rich quickly, it can be a great way to get rid of some old metals in your home, help the environment and make some money along the way.